Starting under $20,000, the 2018 Nissan Frontier is an affordable, comfortable and capable midsize pickup that's ready for a hard day's work or a weekend of play. Two body styles, two bed lengths, two wheelbases, two transmissions and two engines are available including a beefy 4.0-liter V6 that makes 261 horsepower. Competitors include the Chevy Colorado, GMC Canyon and Toyota Tacoma. Efficient and reliable, plus roomy. It is great in the snow. And performs really well. I love the amount of storage and the six foot bed. It has a back up camera the really helps especially at night and in the bad weather. It also has satellite radio which is great to listen to with no commercials at all. Not what I thought when I purchase an vs.. Model. 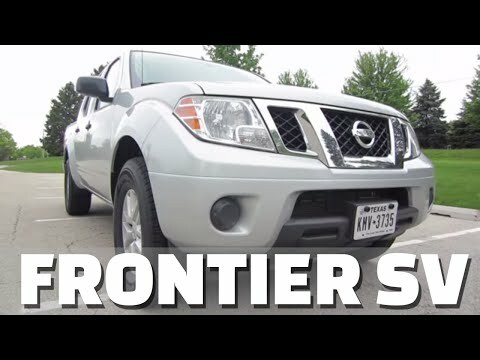 The model I purchased was a frontier vs.. I have an Altima vs.. I thought I would have many of the same features. It is missing several of the features of my Altima vs.. No auto lights. No side avoiding cameras. No light dimming for dashboard lights. Life with my Nissan frontier and the comforts it brings to me. Comfortable and smooth driving. Good gas mileage with no problems. Controls on the steering wheel make it convenient to control the radio and answer the phone. Good sound system for my music.